This very-romantic gorgeous a-line dress has a champagne bodice with a white lace and tulle overlay. The bodice also has some sparkle throughout. The front is V-neck with a high lace back and buttons all the way down the back of the dress. Zipper back. 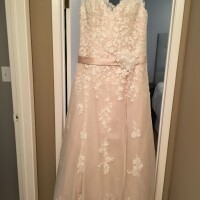 The dress has a beautiful train and the lace overlay extends several inches beyond the underlay for a beautiful contrast (which would look awesome in pictures). Comes with a champagne belt with white lace and sparkle flower but dress can be worn with or without the belt. Size 24 but would easily fit a street size 18 or 20. 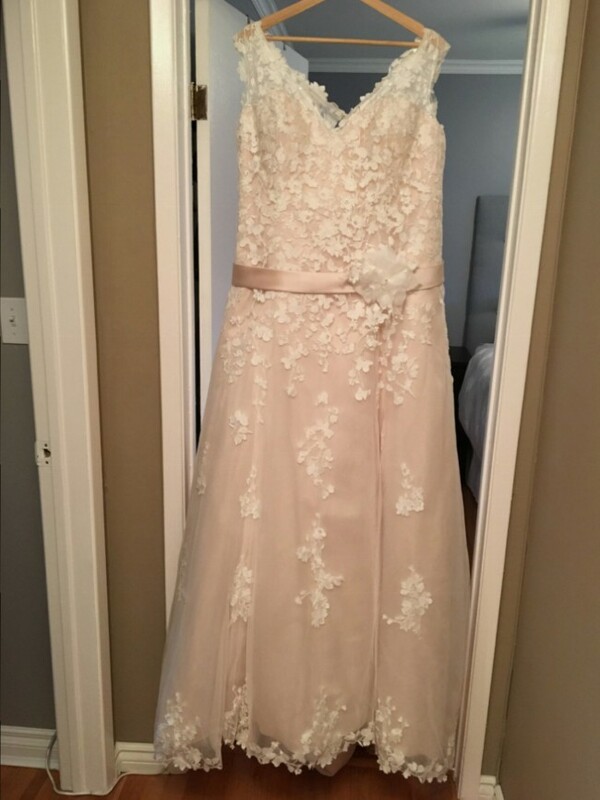 This dress has never been worn, still has the tags on and has never been altered.